Report – Report – Report! We safely arrived in Vietnam and are testing our equipment at the NAVIS centre this week. Our aim is to collect GNSS-data samples to test our technology products with. Especially the signals which can’t be received in Europe are interesting for us – that would be the Japanese QZSS and the Indian NavIC/IRNSS. Today, we were able to record the first data set. We could use the roof of one uni-building to do the recordings and were offered with great visibility and lovely views all around. The focus for today’s recording was NavIC/IRNSS (mainly the S-Band and L5, but also the whole L-Band). From what we could evaluate already things are looking promising! Here you can see some images we took during the test. Enjoy! Tomorrow, our COO is in Brixen/Bressanone for the eurisy event “Satellite Applications for the Alps“. If you are there as well come and say hi. We are looking forward to meeting interesting people and having fruitful discussions about all things search & rescue (SAR)! And from October 15 to 21 he will be in Hanoi at the NAVIS to conduct tests for our SATNAV-technologies. In Hanoi, he will also meet with interested parties and potential users and customers of our tech products. 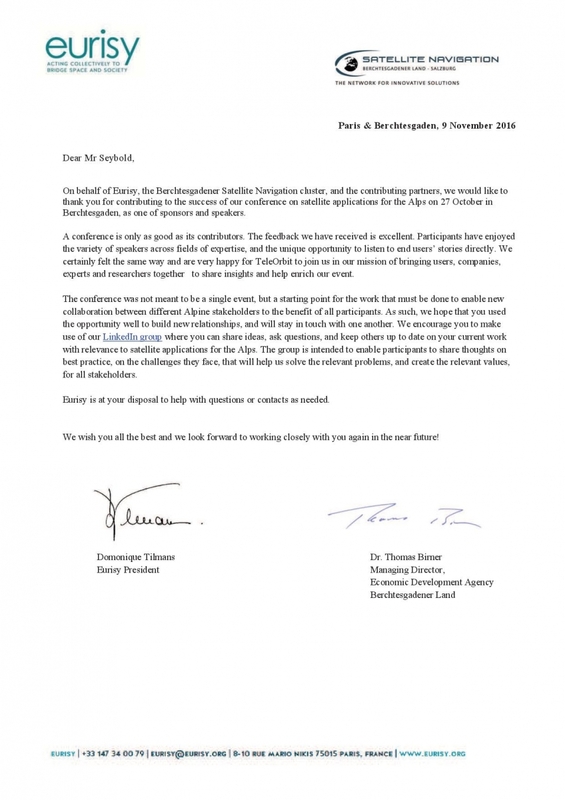 A colleague from Fraunhofer IIS will be with him in Hanoi as well! As said 6 weeks ago, here it is: our travelogue about the 10-day trip to south-east Asia our COO did in May. This trip was made possible thanks to the EU-funded BELS project. Our company had applied for their first call, through which funded companies were taken to different countries and events to connect with local stakeholders and initiate business collaborations. Funded companies will get their travel expense reimbursed and are treated like VIPs by the BELS team and the helpful and dedicated local partners! Our COO’s trip was split in two parts. The first week was spent in Vietnam, the second in Malaysia and Thailand. In Vietnam, he visited the NAVIS test centre, which is located at the Hanoi University of Science and Technology (HUST). It was founded and funded through an FP7-project with two main tasks in mind: connecting Asian and European companies, and serving as a test centre for European GNSS technology in Asia. Besides the NAVIS, our COO also visited different potential stakeholders to present TeleOrbit’s products and talk about possible collaborations. The meetings all went well and future will tell, how successful the trip was. Before departing to Malaysia and Thailand, there was just enough time for some sightseeing in Hanoi. On Monday, 22 May, the first workshop in Kuala Lumpur started. There were presentations by local researchers presenting Malaysian research projects as well as product presentations by European companies like ours and fundamental GNSS-related presentations by European Researchers. Throughout the day, there was enough time for one-on-one meetings with local participants and we found interesting first beginnings for future business. 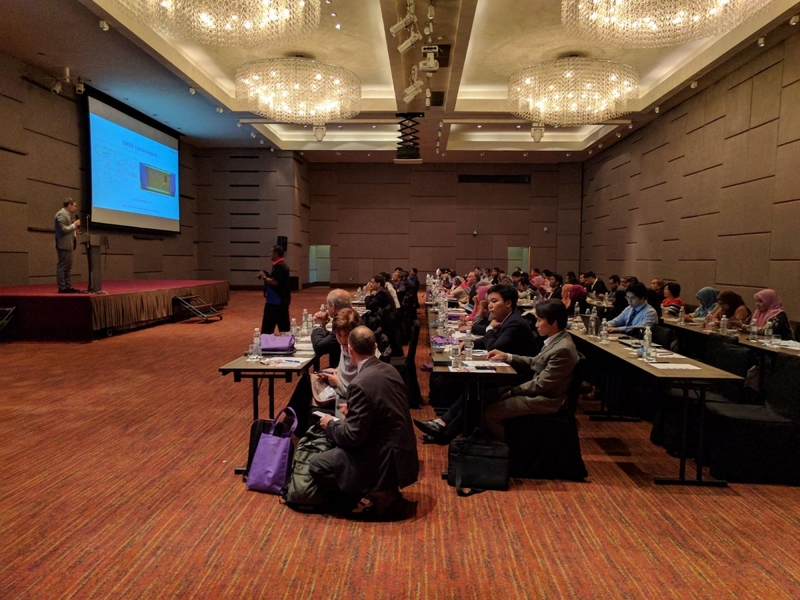 And finally, on Wednesday, 24 May, there was a second workshop in Bangkok. It was organized similarly to the one in Malaysia and this time it was accompanied by a networking-event after the workshop with invited local companies and the European partners. This more private setting allowed for longer and more detailed discussions about potential business opportunities and was an ideal way of connecting with potential partners and customers. All in all, the trip was very interesting and positive throughout. Our COO had many opportunities to talk with interesting people and to connect with like-minded people. We would like to thank the whole BELS team and all local partners for their help and support! Without them, the trip wouldn’t have been this successful! In May, our COO will be in south-east Asia to promote our GNSS-products, especially MGSE. His travels with the BELS project will take him to Hanoi, Vietnam, Kuala-Lumpur, Malaysia and Bangkok, Thailand. In Malaysia and Thailand workshops will be held which are co-organised by local partners. 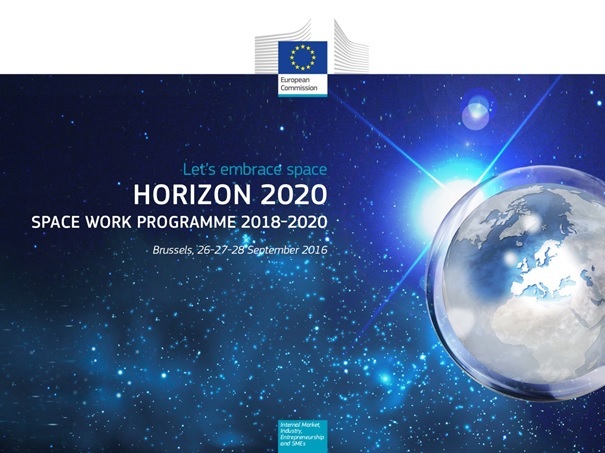 The aim of these workshops is to connect local users and European companies and to impart knowledge, but also inform the participants about interesting products. Stay tuned for the travelogue which will include many interesting pictures! we hope, you’ve had some relaxing with your loved ones! We wish all customers and partners a successful start into 2017 and that you can realize all your new year’s resolutions! during the Sat4Alps conference in berchtesgaden, Eurisy interviewed our COO. They talked about why it is good to have users of our products present them at events and why it is important to have both users and the industry taking part in conferences like the one in Berchtesgaden. Thank you as well from all of us at TeleOrbit GmbH! 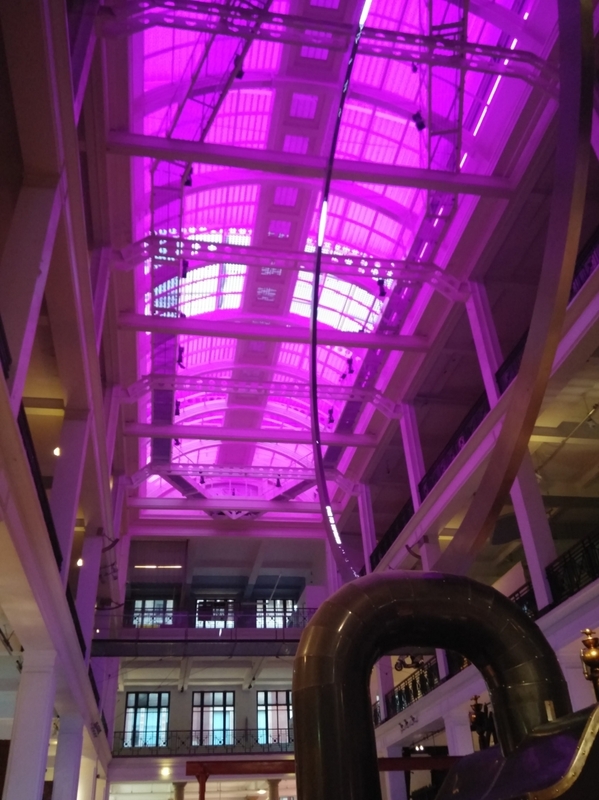 We really enjoyed working with you and supporting this great event bringing together users, the industry and public organisations from many European countries. We had interesting talks with different people which were very encouraging and fruitful. Thank you again #Sat4Alps conference participants, Eurisy and Wirtschaftsförderung Berchtesgadener Land! Last week Eurisy published an article about our satellite-based operations control system for a more effective and a more coordinated proceeding of the rescue forces in alpine rescue missions (SARONTAR). The article is part of Eurisy’s Good Practices series. On Thursday, our NAMES©-consortium holds a meeting in Lichtenstein near Chemnitz at our partner acx’s demonstration ground. We will talk about the progress of the project and plan the upcoming demo-phase. On Friday, TeleOrbit® will meet up with avendi, one of the partners for the demo. If everything goes as planned, we will start the demo mid to late summer. Within NAMES© TeleOrbit®, with our partners acx and Fraunhofer IIS, is developing an indoor-outdoor-emergency solution which combines our emergency service MODIS® and the ViciOne home automation system of acx and adds to those an indoor locating component through Bluetooth-LE-beacons. Last Friday, our COO visited the south of France. He was invited to speak at the Outdoor Sports event which was organised by Eurisy and the Departement 64. If you follow the link, you will find all the information about the event as well as all the presentations and photos. In addition, a “Storify”-page has been set up, bringing together all the tweets about the event. 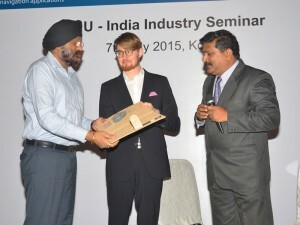 Eurisy, the Departement and several attendees and speakers tweeted “live” from the event. Bienvenue from Paris (CDG Transit)! Our COO is on his way to Biarritz to attend the Outdoor Sports Conference hosted by Eurisy. He was invited to speak in the last session of the event which addresses security and responsibility in outdoor sports and possible improvements satellite information/data can make. The session is organized as a “matchmaking-event” and combines two speakers, one from the industry and one from a sports or rescue organisation. The speakers will discuss problems and how technology can help solve these issues. The talk will be supported by a moderator and an experts panel and hopefully encourages interesting discussions which help both partners and the audience. The European Commission (EC) had invited our managing partner to take part in the “Consultation on new Space Strategy for Europe”, which took place at the European GNSS Agency (GSA) in Prague on 09.03.2106. He was invited to present the opinion of an internationally acting SME. Together with TeleOrbit®, 9 European companies from 8 different countries were given the opportunity to hold a speech in which they presented their strategies and position. 7) intensified cooperation with the USA, Russia, China, Japan, India, etc. During the presentation it became clear that TeleOrbit® is in great accordance with the European space industry and other SMEs. If you are interested in the event, please send us an e-mail. We would then send you the presentation of the event. As you may have read, we recently started an interesting project. The official website for the project went online yesterday. There you will find all information about the project and the consortium. This project is the ideal base for TeleConsult Austria and TeleOrbit to enter into the automotive industry. In future, all relevant project-progress will be shared on the website as well. Therefore, it might make sense to check it regularly! 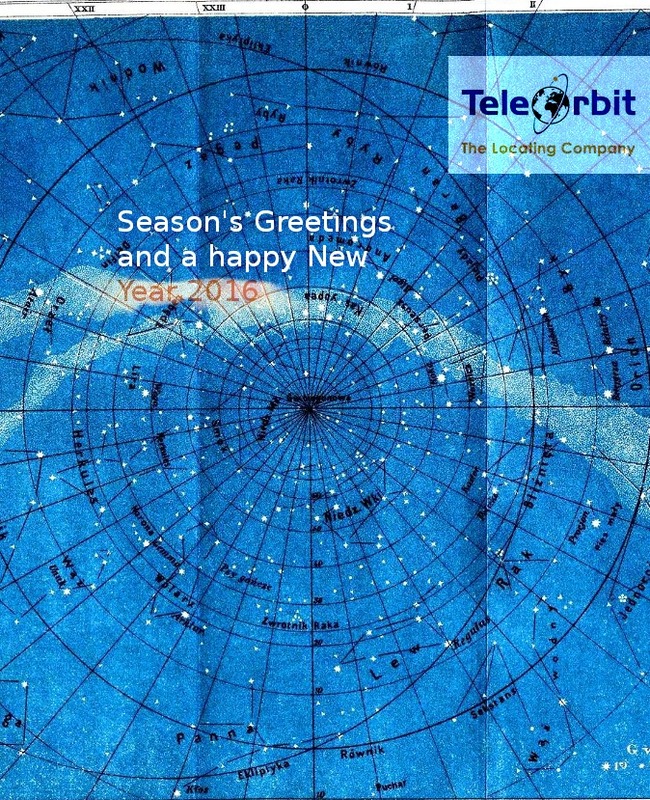 TeleOrbit wishes you and your loved ones happy holidays and a successfull 2016! TeleOrbit® and Limmex AG, Zürich, Switzerland, sign an agreement on the distribution of Limmex emergency watches in Germany and Austria. TeleOrbit® and Helios Global Technologies Ltd, Kelowna, British Columbia, Canada, agree on a strategic marketing and sales alliance for SAWOS®-technologies and SAWOS®-solutions in North-America. The cooperation includes joint German-Canadian cooperation projects in the framework of EUREKA. TeleOrbit® wins the Telematik Award 2013 presenting SAWOS® in the category “Digitale Begleiter (digital companions)”.